We live in a world that is fast-paced, increasingly complex and uncertain. Despite all our technology we can feel isolated and disconnected from people, unsure of our place and purpose. Broken relationships and corrupt systems create uncertainty, dislocation and fear. We believe it is our privilege and responsibility to be part of changing the world. At CNL we seek holistic transformation for individuals, households and communities. We dream and work toward a world characterised by justice, compassion and hope. 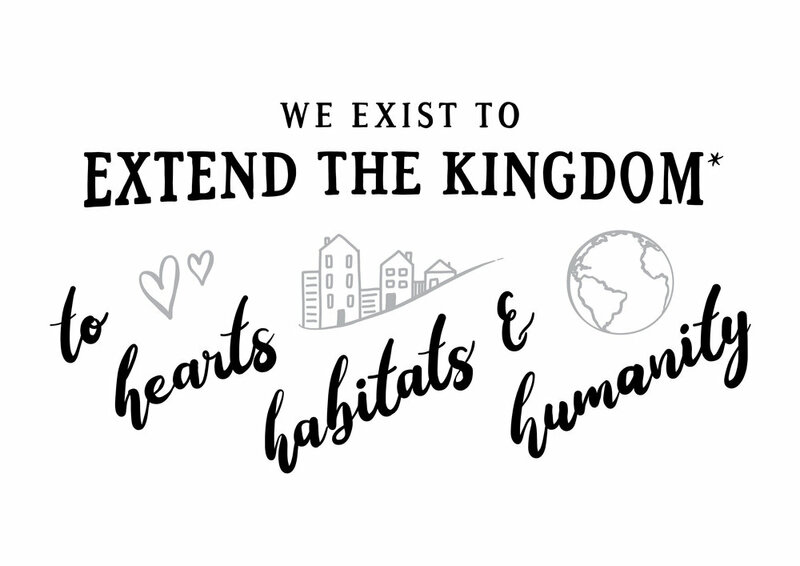 We believe this happens one transformation at a time - where individual hearts, lives and households find belonging, purpose and passion and then join together with others to set about putting the world right. For our vision to become a living, breathing reality we have identified five core values - values that form our philosophy and practice. These values shape and define who we are, what we do and how we do it. Life was not designed to be lived in isolation, we are created for community. It is in relationship with others that we truly understand who we are. We believe in creating and fostering environments where we pursue wholeness and freedom. We choose to be honest, respectful and forgiving in our interactions with one another. We choose to build authentic relationships, talk honestly and quickly to one another when things go wrong and are committed to the process of restoring relationships without damaging the reputation of others. One of our core human needs is to be known, loved and accepted. We choose to be an inclusive, diverse community - that empowered by Love - puts each other first. We seek to understand and celebrate the differences amongst us. Doing life together is a vital part of belonging – we share food, fun, faith and resources as we together create a better place to belong. We choose to intentionally pursue lifelong growth. Character is about who you are and the choices you make when nobody is looking. Growing in integrity and transparency in all arenas of life is a discipline we choose – recognising it is a key component of becoming people of influence who change the world around them. We are called to change the atmosphere of the world we live in – to be a people moved by compassion and conviction for the lost, last and least. We recognise one of the core principles of this is creating a multiplying movement of people who stand beside, encourage and inspire one another to live out the teachings of Jesus in all spheres of life. Each and every one of us has a significant contribution to make. We have been created with a unique personality, specific giftings, passions and strengths. We believe that uncovering and empowering potential happens best within community. We choose to connect, support and encourage each other in our areas of strength and receive input from one another in areas that are not our natural wiring.